Hailing from Yorkshire, Catherine’s voice was discovered by her music teacher mother who overheard her singing along to the radio behind her closed bedroom door. 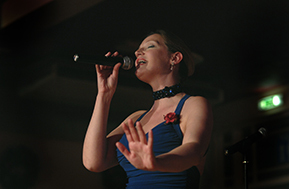 Catherine is resident vocalist with The Glenn Miller Orchestra UK and performs regularly on tour with the band throughout the UK and Europe. 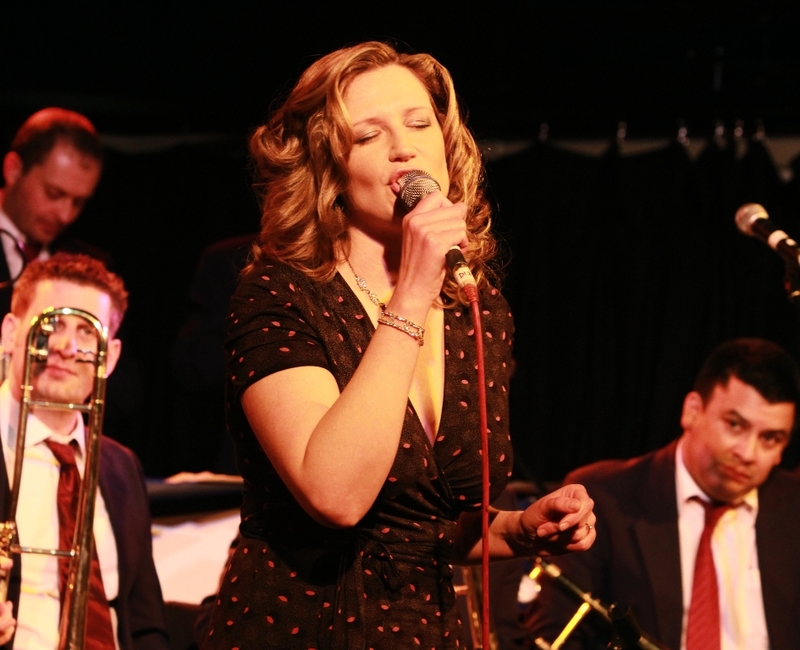 She has also guested with the Syd Lawrence Orchestra, Pasadena Roof Orchestra, Nick Ross Orchestra, Manhattan Orchestra, Fat Chops Big Band, Paul Barry Big Band and The Tuxedo Jazz Orchestra. 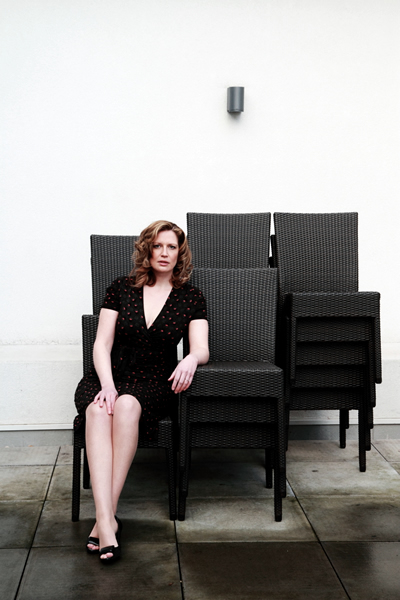 Catherine studied voice at the Leeds College of Music and since graduating has performed at venues such as London’s 100 Club, the 606 Club and numerous Jazz festivals and clubs across the country. Humphrey Lyttelton took a shine to her debut album ‘Signing In’ and featured it on his ‘Best of Jazz’ programme on Radio 2. 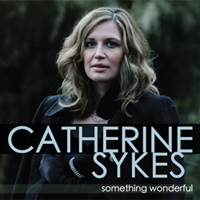 Her critically acclaimed follow up album ‘Something Wonderful’ includes a song written especially for her by TV and Radio presenter Nicky Campbell OBE. "The first time I heard Catherine sing I was completely blown away and immediately offered to write a song for her. It’s a total thrill to be among the legendary writers on this incomparable set list and a big wonderful buzz to have her sing one of my songs. This is an album of astonishing, haunting arrangements, outstanding musicianship and masterful production but soaring above it all is Catherine. Her voice is effortless but magical. It is graceful but passionate. It is beautiful." Nicky Campbell - presenter, journalist, writer, composer. 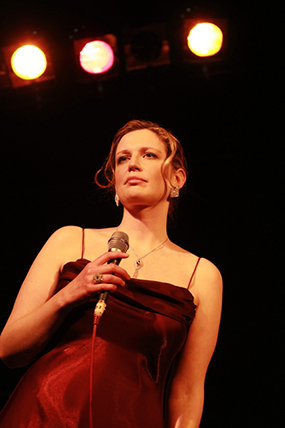 "Another stand-out performance came from Catherine Sykes who dared to step into the shadow of Alice Babs to sing ‘Heaven’. She emerged magnificently." I am very excited to be able to announce the launch of my new album and website! I recorded the album last year at a lovely rural studio in the Vale of Evesham, a beautiful and inspirational setting. I am thrilled to have worked with some great musicians on the album; Drummer Mike Smith (BBC Big Band, Syd Lawrence Orchestra), bassist Tom Hill (Les Brown and the Band of Renown, George Shearing) and on saxophones Rob Fowler (The Humphrey Lyttelton band, Pasadena Roof Orchestra) to name but three. I am really proud of the album and hope you enjoy listening to some of the tracks whilst browsing the website. "Catherine Sykes is unique...she has the rare gift of making her listeners feel that she is singing directly and exclusively to them.’"
If anyone asks me who my greatest influence is, I always think back to the first time I saw Ella Fitzgerald singing on one of those old TV specials. She was wearing large glasses, had the song lyrics on a stand in front of her and kept shuffling the pages around whilst she was singing – all the things you’re told you’re not to do. Yet what came out of her mouth was completely engaging and beautiful. Her voice was so mellow, her vocals so effortless, her phrasing so precise, so clear. I was completely captivated. Being the reserved character I was and suppose still am, watching Ella made me realise that I could express my thoughts and passion through song. I love the freedom and space of Jazz music. There are no set rules, no boundaries, no definative way to sing. Rhythm and melody can be played with, feelings explored, day to day worries lost in the wonderful world of the music. But with that freedom also comes a certain amount of fear. How much do I change the feel or phrasing? How much space can I leave before the song collapses? It’s a constant learning curve. This album includes some of my constant companions. I know songs like I’ve Got a Crush on You, Lean Baby and I Could Write a Book so well that they have almost become a part of me but I also wanted to explore some lesser known standards. London by Night, for example, reminds me of the time when I was just starting out and would travel home late from gigs in the West End, along the Embankment towards the East End where I lived. I would always drive slowly and gaze at the string of lights along the river, Tower Bridge, the London Eye, the OXO Tower, all reflected in the Thames. Occasionally I would park up, get out of the car and have a moment to myself. I still have those moments, of course. Often, in the middle of a gig, I just stand and listen to the amazing musicians I’m working with and think how lucky I am to do this as a living. To be able to sing for my supper is truly a wonderful thing. Sign up for Catherine’s newsletter to get exclusive updates and offers.